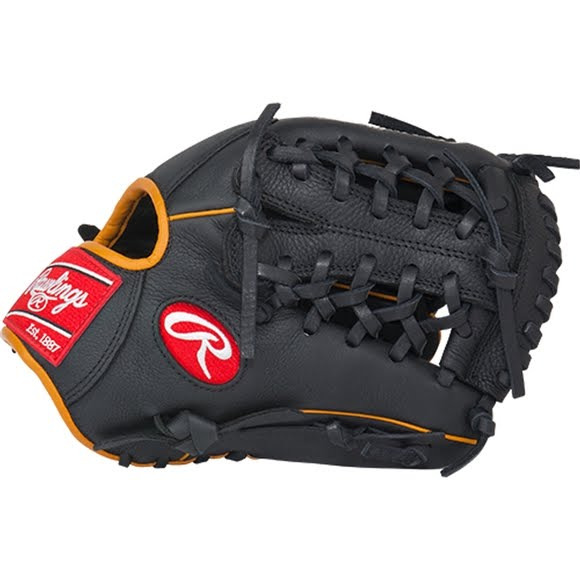 This GG Gamer 11.5 In Baseball Glove from Rawlings features the Modified Trap-Eze Web pattern, which is an extremely strong web that provides ball snagging functionality. With its 11 1/2" pattern, this glove is our most popular model and at the Pro Level is primarily used at the shortstop/pitcher position and at the collegiant/highschool level it can be used at 2nd, 3rd, and shortstop. This GG Gamer 11.5 In Baseball Glove from Rawlings features the Modified Trap-Eze Web pattern, which is an extremely strong web that provides ball snagging functionality. With its 11 1/2" pattern, this glove is our most popular model and at the Pro Level is primarily used at the shortstop/pitcher position and at the collegiant/highschool level it can be used at 2nd, 3rd, and shortstop. This GG Gamer Series glove utilizes pro quality materials and designs including authentic Rawlings Pro Patterns and high-quality US made Pro Grade Laces. With new pro soft leather that allows for a quicker, easier break-in, and full grain finger linings, these gloves maximize comfort and durability. Modified Trap-Eze® is an extremely strong web with great ball snagging functionality for all positions.